I’ve been reading Dan Brown’s The Lost Symbol. I found the book extremely exciting; it’s definitely a real page turner. I really enjoyed all the research, too. I was very tempted several times while reading to stop for a moment and go to the computer to Google some of the things that Brown talks about in the book. So here’s the paradox: despite this, I returned the book to the library without finishing it. This is exactly the same thing that happened when I read Angels & Demons, the sequel to The Da Vinci Code (I enjoyed The Da Vinci Code enormously, by the way, and yes, I did finish it). I had put down Angels & Demons with about a quarter of the book left to go. I’ve never been able to figure out why, exactly – I mean, here we were, coming up to the finale, there was a ton of excitement, which I’d enjoyed thoroughly, and suddenly, I lost interest. As it turns out, I put down The Lost Symbol with about a quarter of the book to go, too; today, on my way to the library, I looked at it, sitting on my bedside table, and realized I probably wasn’t going to be in the mood to pick it up again, at least not in the near future. So I returned it. This time around, I gave it a bit more thought. After all, I love a good story, with lots of excitement, a book that’s real page turner – so what happened? Perhaps it didn’t help that I saw through all of the villain’s traps, right from the start of the book (that is, all the traps up until I stopped reading, which was just after Langdon fell into another trap despite my saying to him, “No! Don’t do that! Why aren’t you calling to check first? Oh, no, here we go again!”). Still, despite this, as a reader I was quite willing to forgive Langdon for falling into these traps, even though they seemed so obvious to me (maybe I’m just way more paranoid or cynical than Langdon and after all, of course Langdon doesn’t know he’s a character in a thriller while I do know he is). Still, that wasn’t the reason I stopped reading. The only thing I can think of is that there was just too much excitement for me. 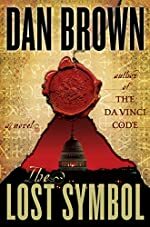 I already knew how the book would end – obviously, the world isn’t destroyed, and Robert Langdon lives to potentially get involved in another symbology caper – but really, I know that for most of the suspense novels I read. But the pace was relentless, and in the end, just too fast for me. I could keep up for a while, and the subject matter and all the research definitely kept things interesting, but as we headed toward the finale, I just found all the excitement to be too much. And I lost interest as a result. So this is a real paradox, because while I did not finish the book, I actually really enjoyed every bit of the book that I did read. And I just noticed that there’s a special illustrated edition that will be published this November, and if my library will be ordering it, well, I’d love to flip through it, so I can see pictures of the things Brown talks about in the book (because yes, I did resist the urge to Google while I was reading). How weird is that? But it’s true. I enjoyed every bit of the book that I did read. At the same time, it’s a DNF (did not finish) for me. And yes, I would be tempted by the illustrated edition. How’s that for a wishy washy sort-of-review? What about you? Have you read The Lost Symbol? Did you like it? And if not, is it in your TBR list? This entry was posted in Books and Reading, Reviews and tagged Dan Brown, thrillers on May 31, 2010 by Belle Wong.